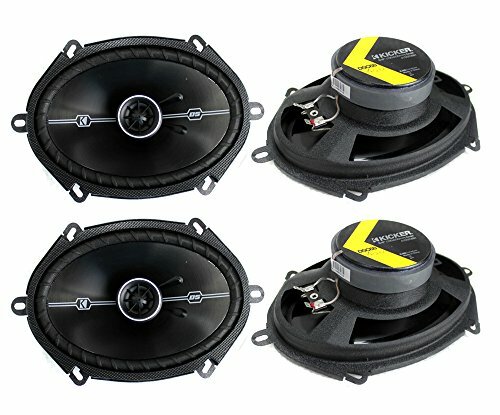 4) Kicker 41DSC684 D-Series 6x8'' 400 Watt 2-Way 4-Ohm Car Audio Coaxial Speakers by Kicker at Atoz Car Rental. MPN: 51769. Hurry! Limited time offer. Offer valid only while supplies last. The Kicker DSC684 6x8'''' 2 way car audio speakers features a MAX power of 200 watts (400W per 4 pack) and an RMS power of 50 watts (100W per 4 pack).